One of Canada’s top craft brewers, a sculptor who is helping to restore the Parliament Buildings, the founder of a leading bioscience firm and a nationally known political pundit are among this year’s Forty Under 40 recipients. 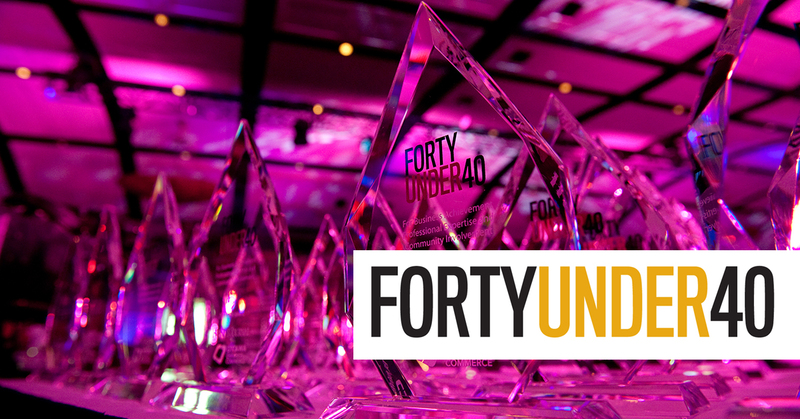 Forty Under 40 recognizes accomplished leaders who are under the age of 40 and also give back to their community. The awards are co-hosted by the Ottawa Chamber of Commerce and the Ottawa Business Journal. The 2015 awards again saw an impressive number of people engaged in the nomination process. More than 240 applications were submitted, and the judges spent a total of 100 hours in review. The 2015 recipients will get together in early June at the Telfer Executive MBA facility for an afternoon of introductions and sharing. On June 18, the group will be celebrated at a gala at the Hilton Lac-Leamy, an event that will also raise funds for the Royal Ottawa Foundation for Mental Health through a charitable draw. Click here to purchase tickets. Twitter users are encouraged to tweet their congratulations to the group using #OTT40.